AirPlay is a proprietary wireless streaming technology developed by Apple to stream or mirror audio, video, device screens and photos of various iDevices such as iPhone, iPad, iPod touch and MacOS computer onto a AirPlay receiver such as Apple TV, AirPort Express and third-party home entertainment systems, together with related metadata, which in turn send them to a display. As AirPlay is is a proprietary technology, not many devices and software applications support it. In order to enjoy the conveniences such as AirPlay mirroring that projects the display of iDevice to a big screen, users would probably require to own an Apple TV. However, not many has Apple TV. If you belong to the group which does not have a Apple TV, here’s a few alternatives which you can make use AirPlay technology to stream media or mirror the screen to a computer or TV. Note that in most of the case, if you wan to AirPlay to a TV big screen, you need to connect the device or computer which the AirPlay receiver is running to TV or display via HDMI or VGA cable. If you have a Raspberry Pi up and running (installed with Raspbian OS), you can turn it into a AirPlay receiver, by using rPlay. By connecting Raspberry Pi to TV, effectively you can AirPlay to TV without Apply TV. If you’re browsing on Raspberry Pi, just visit the “http://localhost:7100/admin” (without quotes). Login with the username and password of admin, and then scroll down to the end of the page and enter the license key as S1377T8072I7798N4133R. OSMC (Open Source Media Center), previously known as Raspmc, is a free and open source media player based on Kodi, previously known as XBMC Media Center. 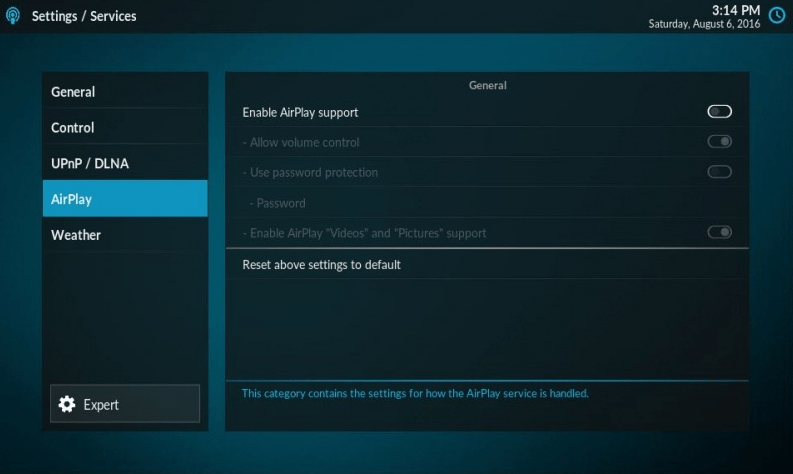 Once you installed OSMC on Raspberry Pi, enable the AirPlay receiver by going to System -> Network, and enable either the Allow XBMC to receive AirPlay content or Enable AirPlay “Videos” and Pictures” support; or in newer version, Settings -> Services -> Airplay, and toggle Enable Airplay support to on. Unfortunately, OSMC, like Kodi, does not support AirPlay mirroring and streaming of DRM contents such as Netflix. In iOS 9 or newer, it only supports audio steaming, without video and pictures support. 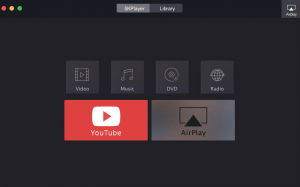 Kodi, previously known as XMBC Media Center, can act at AirPlay receiver, similar to OSMC which based on it, to allow any device to broadcast to it. Once you installed Kodi, enable the AirPlay receiver by going to System -> Network, and enable either the Allow XBMC to receive AirPlay content or Enable AirPlay “Videos” and Pictures” support; or in newer version, Settings -> Services -> Airplay, and toggle Enable Airplay support to on. Like OSMC, the AirPlay support in Kodi is limited. It only accepts audio for iOS 9 or newer. Even though it can receive audio, video and pictures in iOS 8 or older, DRM-based videos from iTunes Store or Netflix won’t play. 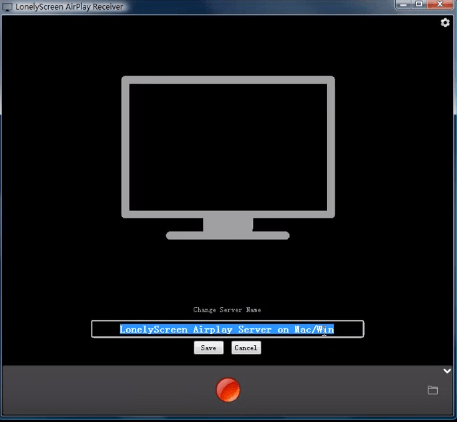 In addition, AirPlay mirroring which duplicates the device’s screen is not supported. Kodi is available for most major operating systems, including Android, which allows you to install it onto an HDMI-based Android stick that can connect to TV directly. LonelyScreen is a AirPlay receiver for Windows and MacOS (including Sierra, El Capitan, Yosemite, Mavericks, Mountain Lion, and Lion), much like an Apple TV running on your desktop. You can cast anything from iPhone or iPad to computer screen, including AirPlay mirroring. LonelyScreen works with iOS 9.1, iOS 9.2, iOS 10 or later, which compatible with iPhone 6, iPhone 6s, iPhone 7 and their Plus variants. Download LonelyScreen for Windows or Mac. 5KPlayer is a multi-functional multimedia application that can play 4K, 5K and 1080p HD videos, music, DVD; download videos from YouTubes and more than 300 other sites; and most importantly, comes with AirPlay technology. 5KPlayer can act as an AirPlay Receiver to allow streaming of films, videos and music from iPad Pro, iPhone 7 to Mac or PC. It can also serve as AirPlay Sender to stream media to Apple TV and AirPlay speakers. 5KPlayer also supports AirPlay Mirroring and screen recording. Download 5KPlayer for Windows or Mac. 5KPlayer is free. 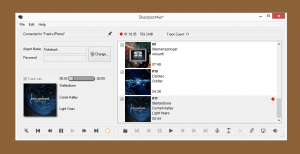 Shairport4w is an open source AirPlay Audio-Receiver for Windows PC, or Airtunes emulator. It allows users to stream and play audio content from iPhone, iPad, iPod or iTunes on your PC. 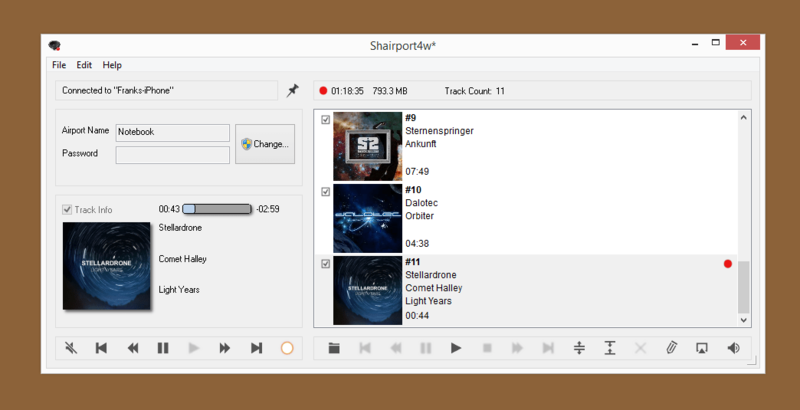 Shairport4w now comes with a commercial plug-in (not free) that allows you to save your AirPlay audio stream to disk, and also includes several export Options (supports LAME), Timeshift, track editing and more. Mirroring360 – Mirroring360 from Splashtop allows users wirelessly share & record the Chromebook, iPad, iPhone, Android, Windows, and Mac screens without the need for hardware or cables. Mirroring360 has built-in support for AirPlay including on iOS devices, and has Mirroring360 Sender for Android devices and Chromebook app for Chromebooks or PC to allow streaming from those devices. Reflector – Reflector is a wireless mirroring and streaming receiver that works great with Google Cast, AirPlay and AirParrot 2. Reflector accepts wireless mirroring and streaming connections from different devices supporting Google Cast and AirPlay Mirroring. Reflector can be installed on most popular entertainment devices including Amazon Fire TV and Fire TV Stick, or pair Reflector with AirParrot 2 in your home theater to stream your content to the big screen. AirServer – AirServer is an advanced screen mirroring software receiver for Mac and PC. It allows you to receive AirPlay, Google Cast and Miracast streams, similar to an Apple TV or a Chromecast device. AirServer is fully compatible with the built-in “Project to a wireless display” feature in Windows 10, and supports Live streaming to YouTube Live. X-Mirage – X-Mirage is a professional AirPlay server for Mac and Windows PC, which allows you to wirelessly stream contents or mirror iPhone, iPad and iPod screen to any Mac/Windows PC. Record screen and audio from iOS devices, as well as voiceover via Microphone with one click. Airfoil – Airfoil can receive audio from AirPlay source, and/or send audio from your computer to one or multiple outputs anywhere on your network, such as Apple TV, AirPort Express, and other AirPlay devices, as well as Bluetooth speakers, iOS devices (iPhone, iPad, & iPod Touch) and even other Macs and PCs! There are plenty of open wireless streaming and mirroring technology available, such as Miracast and Google Cast. Most of these standards are free and readily available and supported by most major TV brands and display/audio devices. In fact, by streaming or mirroring directly via a protocol that is supported natively by the display or audio devices, users no longer requires additional boxes or cables. There are some apps that make use of these standards or proprietary communication protocols to mirror the screen or stream your media contents, here’s some of them, though most of them is commercially licensed, i.e. requires purchase of license. iMediaShare – iMediaShare is a free software that allows users to access the digital content from anywhere. iMediaShare automatically discovers any connected devices on the network and stream video instantly on the big screen. iMediaShare also serves as the ultimate remote, so user can adjust volume, playback, or switch videos with intuitive touchscreen gestures. iMediaShare supports Internet-connected TVs by Samsung, Sony, Panasonic, LG and Philips, Xbox One, Xbox 360, DISH Hopper, Apple TV, Blu-ray players and more. iMediaShare also supports push-to-play to any DLNA media renderer. AirBeamTV (for MacOS systems) – AirBeamTV wirelessly mirror the screen of a Mac computer directly on any Samsung / LG / Panasonic smart TV, without the need for any additional hardware. Video & TV Cast – Video & TV Cast can stream free online movies, web videos, livestreams and live tv shows directly from the browser to your favorite streaming players. It supports streaming to Chromecast, Samsung TVs, LG TVs, Amazon Fire TV, Roku, Google Cast powered TVs and many more media players. Video & TV Cast supports all major video websites and countless others. No additional media servers or complex setups are required to use it. ZappoTV – ZappoTV is the Mobile Media Center for your TV. Using one of ZappoTV’s applications (available on both iTunes and Google Play), you can enjoy tons of media content (including your personal photos and videos) on your mobile device and your connected TV.